Lately I’ve been craving Thai food like crazy, so much so that I’ve even gone as far as trying to make pad thai at home and frankly, it never does taste as good as it does when someone else makes it. And Pai is my current spot to get awesome pad thai. 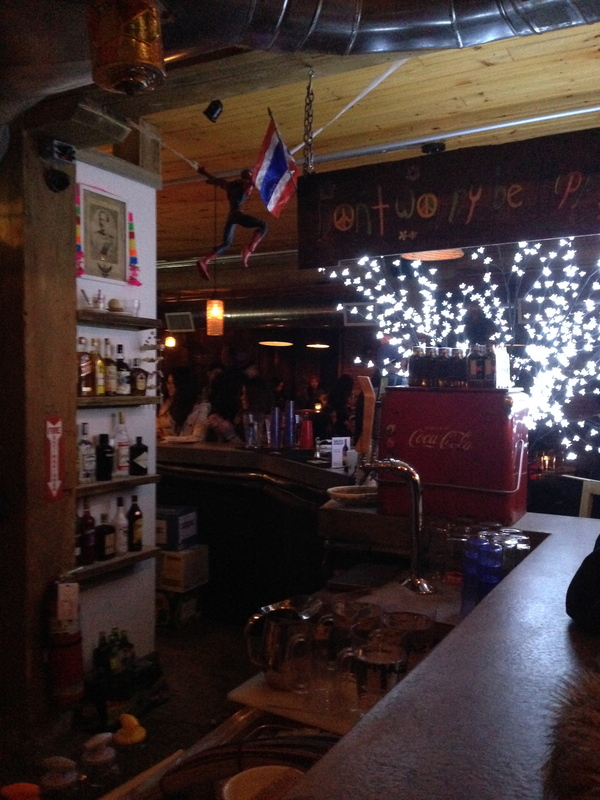 The interior is uniquely decorated, a cross between kitsch and tiki. I’m going to be honest, I’ve gone to Pai three times in the past six weeks and each time I go, I start with the Thai iced tea. If you love condensed milk, you’re gonna love the iced tea. 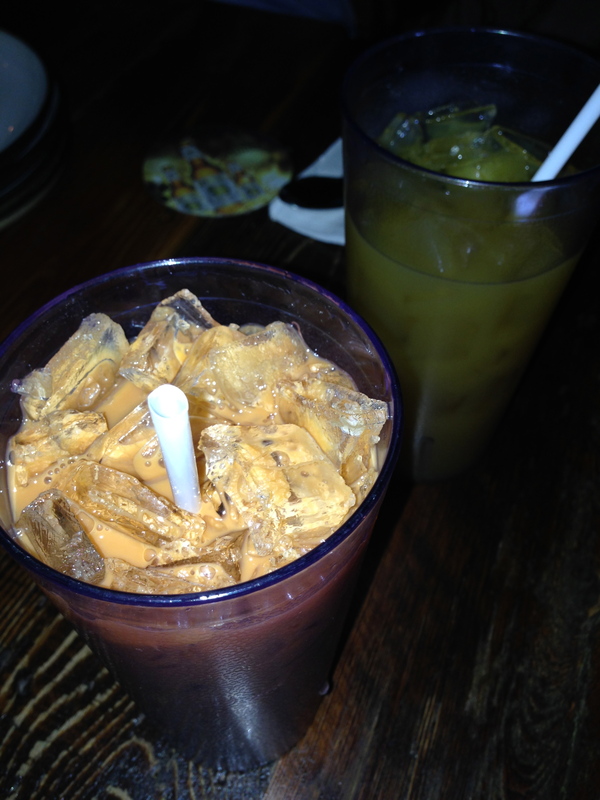 I have yet to try the thai bucket but its next. 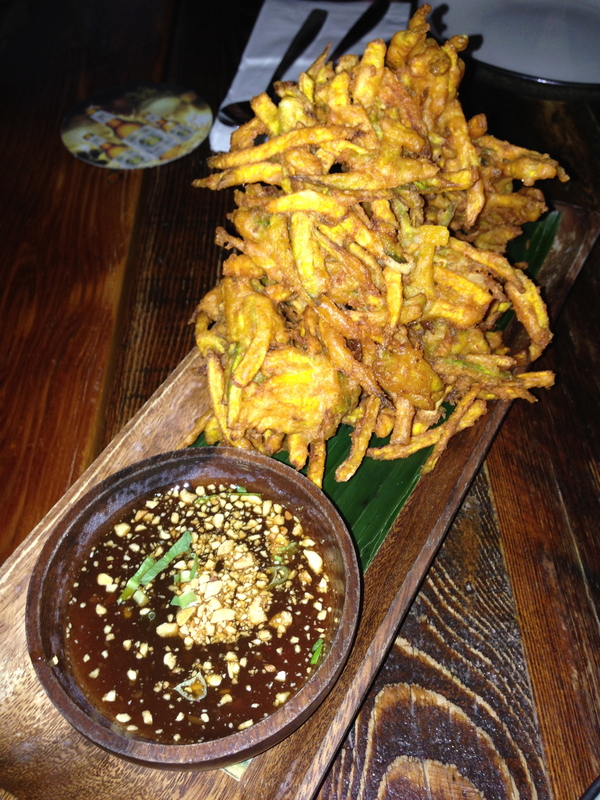 Now that you know the pad thai is amazing, the squash fritters are delicious dipped in the tamarind sauce. 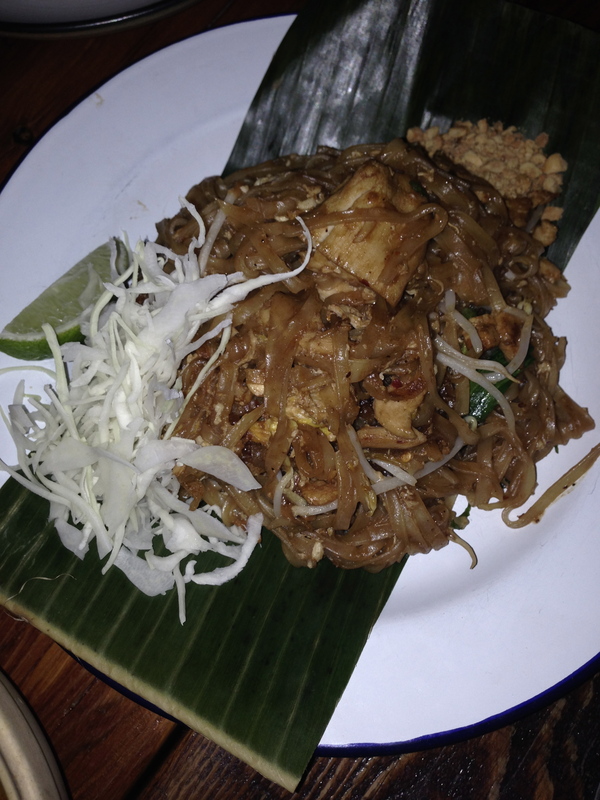 However, the surprise dish of the night was the pad gra prow which we were told is authentic thai street food. 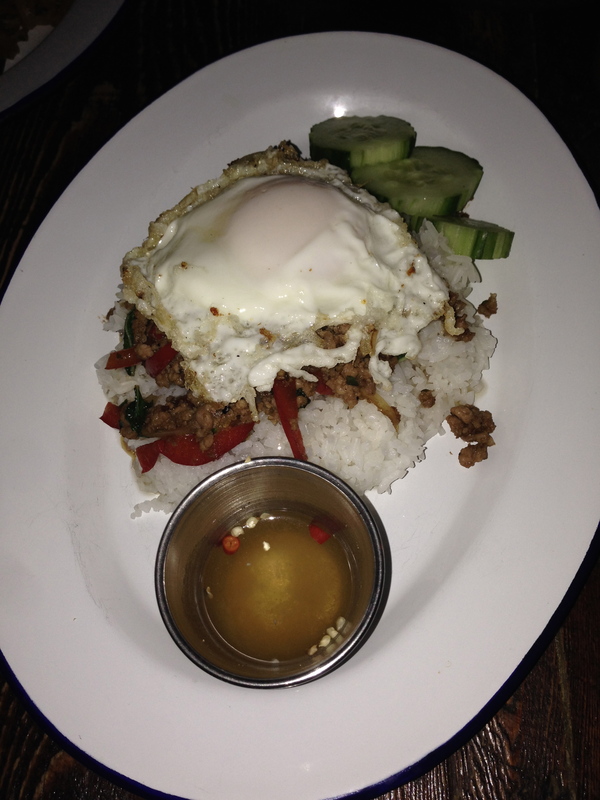 Stir fried ground beef with basil and oyster sauce, served on jasmine rice, topped with a fried egg and nam plik nam pla sauce (fish sauce, garlic, chili and lime) – delicious! If you love thai food, you need to come to Pai. 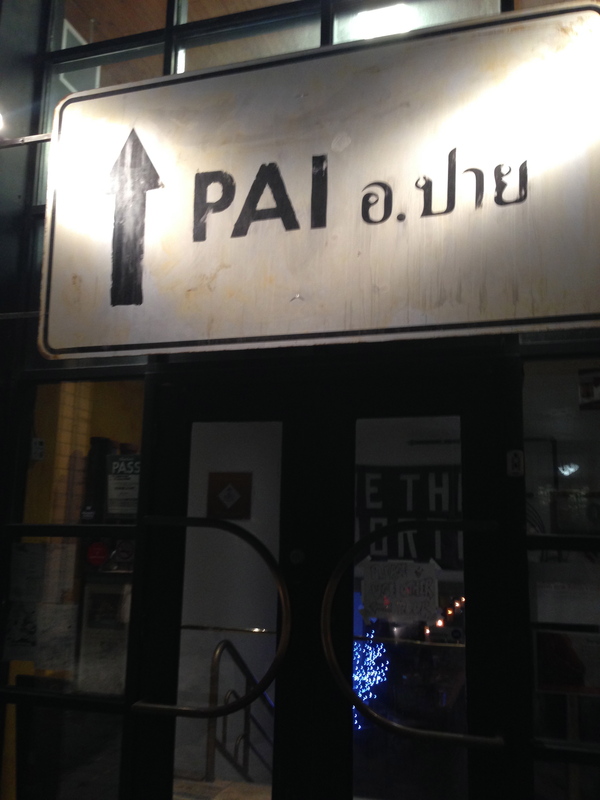 The entrance to Pai located on Duncan St. in Toronto. Grabong – deep fried battered squash fritters with garlic tamarind sauce. Thailand’s specialty Pad Gra Prow. 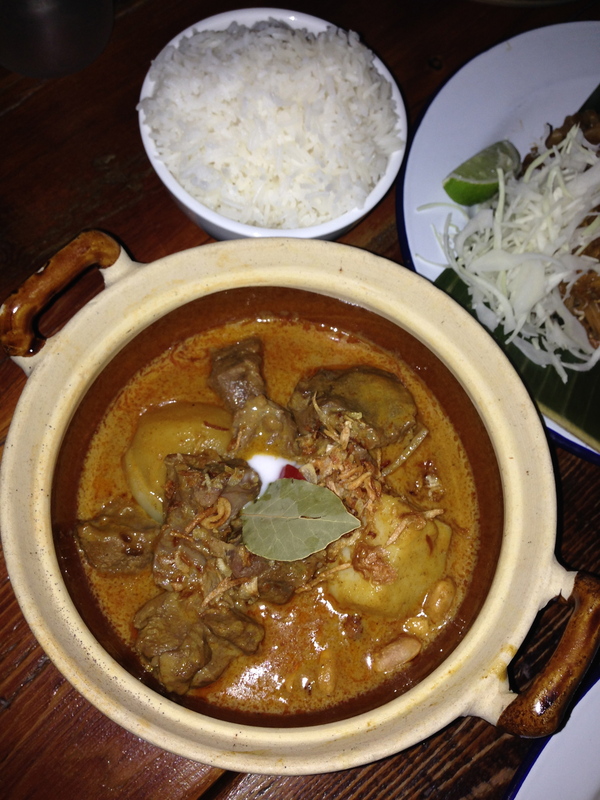 Gaeng Masaman with braised beef and jasmine rice.